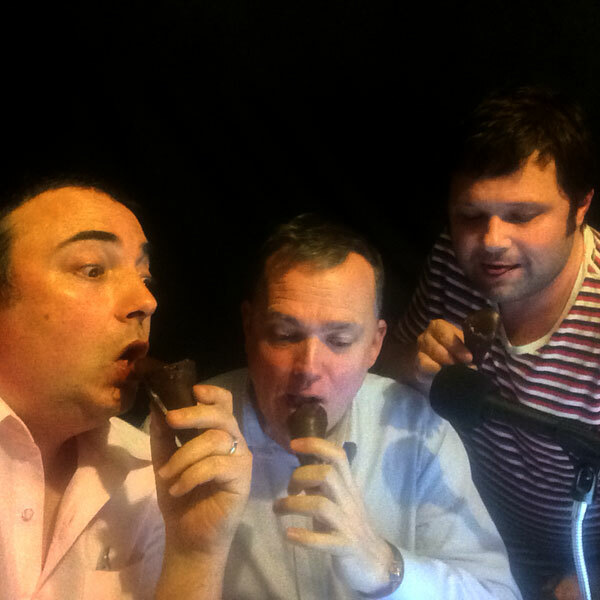 Get ready to dip your fingers in chocolate as you listen to this week’s episode. A lament from Greenock by one of Steve’s friends who discovered recently that Polly Waffles are no more, has resulted in us gaining access to Michele Renaglia, a former Polly Waffle maker from the days of Rowntree Hoadley. Michele is now back home in South Australia and not only gives us the inside scoop on what making Polly Waffles was really like, but she also passes judgement on Steve’s new version called The Pointy Waffle. Brett takes us back to Wassail Wine Bar in Prospect this week, following up last week’s controversial story from that gorgeous venue. Colin introduces us to a brand new segment, The South Australian Register – a new page on our site that will be a statewide honour roll of notable South Australians. This first episode notes some legendary local musicians. Steve asks for your guidance on how to subscribe to newspapers to support journalism without boosting the coffers of those parts of papers that are clogged with ridiculous or misleading content. We also hear that posties are unlikely to be disappearing from the South Australian landscape any time soon, contrary to national news stories about massive job losses and fewer delivery days. We also discover why koalas are much bigger tree huggers in summer than in winter. 00:00:00 Outtake Steve is teased about his cold-influenced voice. 00:00:10 Theme Theme and introduction. Our original theme song in full is here, Adelaidey-hoo. 00:02:18 South Australian Drink Of The Week Rosemount Estate 2011 McLaren Vale District Release Shiraz. Tasting notes coming. 00:06:54 Shout outs Steve to Newton Post Office – the most friendly and helpful bloke in the state. Steve to posties – my local postie told me the Mon/Wed/Fri delivery is unlikely for many years AND job layoffs in SA unlikely too. Steve to Jane Doyle for accepting the mantle of Nigel 6. She tweeted: Thankyou. Honoured to be Nigel number 6, especially in the company of the extraordinary & inspirational JG @JaneGoodallInst. Steve to Vin Brown for tweeting: Just had a lengthy discussion about how great our local podcast @BoringAdelaide is. A top notch production! #Beatles #JaneGoodall #adelaideBrett: Rud from Wassails Wine Bar. 00:10:44 Stories without notice Brett: The Wassail Wine Bar. Steve: In Daily had a magnificent story about living on after a partner had died; all part of their Resilience series. I heartily recommend Genevieve Meegan’s article: After they’re gone: Living on without guilt. Also, thanks to In Daily for pickup up our Adelaide’s Got Ego story from last week in The Outsider column. But I also noted the death of the birth notice being mentioned. I guess it had to happen. Steve: Newspaper subscriptions. Amazing offer from Advertiser. But journalists I ‘know and trust’ is a stretch. Immediate past Media Watch presenter, Jonathon Holmes urged us all to subscribe to papers to keep the ‘press’ alive. I am torn. Would love feedback. Michele spent a few years of her life overseeing the production of the now defunct Polly Waffle. She recounts her memories, some of the mysteries about the sweet, and get her thoughts about our rendition of it – the Pointy Waffle. This week, Jim Keays (The Masters Apprentices), Doc Neeson (The Angels), Darryl Cotton (Zoot), and Glenn Shorrock (The Twilights, Axiom and Little River Band). 00:46:15 Stories from the street Steve: We had a scorcher of a summer in South Australia and some scientists from Melbourne University have been busy working out why our koalas tend to hug gum trees in hot spells. The Naked Scientists podcast (at the naked scientists dot com) covered this story last week and revealed all: it’s to stay cool..
01:10:38 Outtakes The duplicate story that wasn’t duplicate. 5MU Masters Apprentices night,…remember it well! LOL! Good podcast guys! makes me miss Adelaide!